Global Chimes shows Chime for Change's impact across the globe. 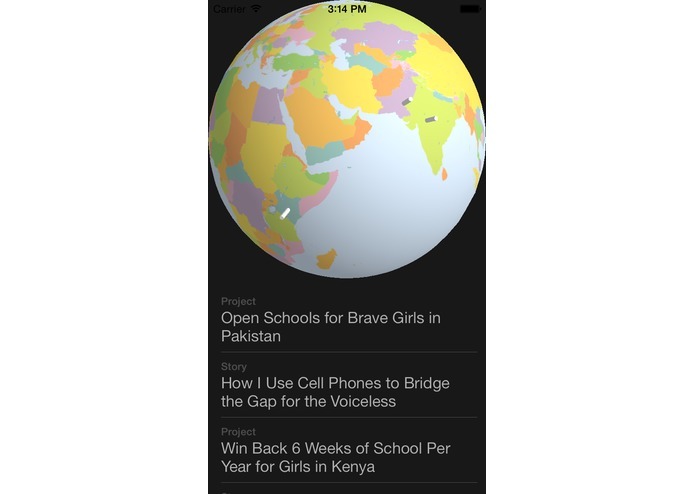 Women around the world can see at a glance the projects and stories happening near and far. With an interactive overview of the issues and solutions, it's easier to feel connected to the change you can effect.